Now You: Did we miss a program? Have a favorite? Share your thoughts in the comment section below. Thank you for this excellent listing. I appreciate the memory usage figures as I wondered which virtual desktop programs are more efficient than the rest. Carry on, sir! The best program is the one that gets used. This certainly can’t be any more true than with virtual desktops. I am pretty sure I’ve tried all of those on the list, and probably a few others, and all fell to the way-side. 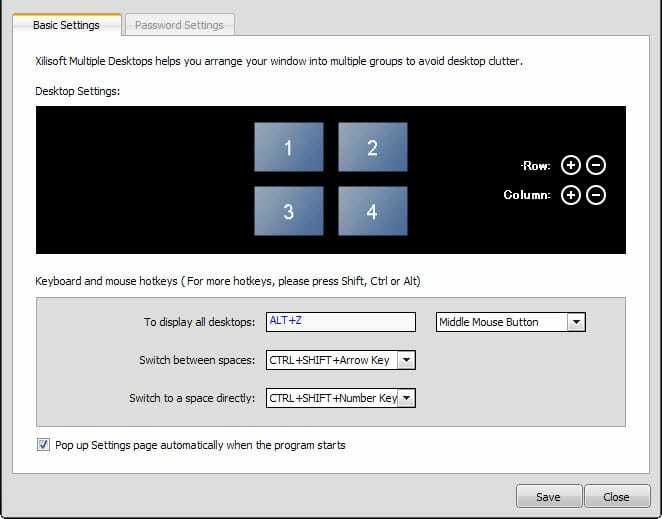 Frankly, the one without all of the “features” worked was my favourite … MoOO Multidesktop. What’s not clear from your reviews is which of these programs create actual independent desktops. When I looked at a few of these programs some years back, most were not independent of the real desktop. 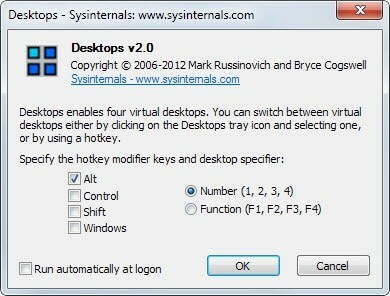 So for example, if you add or change an icon on a virtual desktop, that change would also show up on the main desktop. Which I did not want. 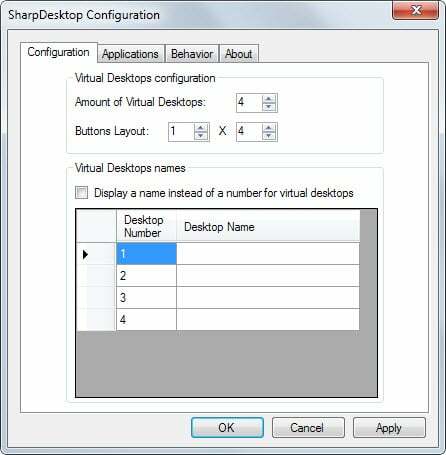 In a real virtual environment, each desktop should be totally independent of other virtual desktops. 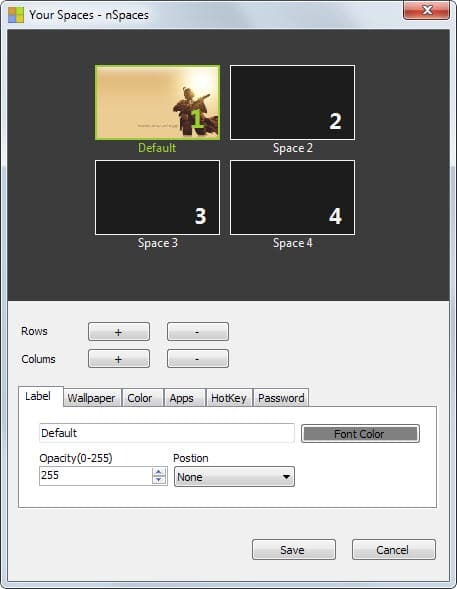 They should be able to have different desktop backgrounds, different icon layouts and so on. If I recall correctly, Dexpot was the only program I found back then that appeared to work in this manner. Would you be able to update these reviews as to which programs generates a true independent virtual environment? I just ran a quick test, tried to move icons around and checked whether the icon’s position changed on the original desktop as well or not. 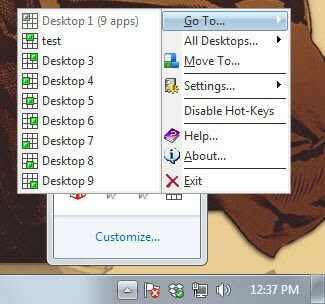 Judging from that at least Desktops, Dexpot, Multi-Desktop seem to behave in this way. Seems like, in your opinion, 9Desks and Finestra Desktops both rule. Thanks for the list. Multi-Desktop definitely has independent desktops / wallpapers etc. After using virtual desktops on Linux, I just couldn’t go back to Windows’ single desktop. I’ve tried a few programs, but I liked VirtuaWin the most, and I’ve used it ever since. I like how it’s simple, extensible with plugins, and is free software. Having moved back to Linux earlier this year, I’ve played around with a window manager called wmii and it uses tagged workspaces rather than virtual desktops. 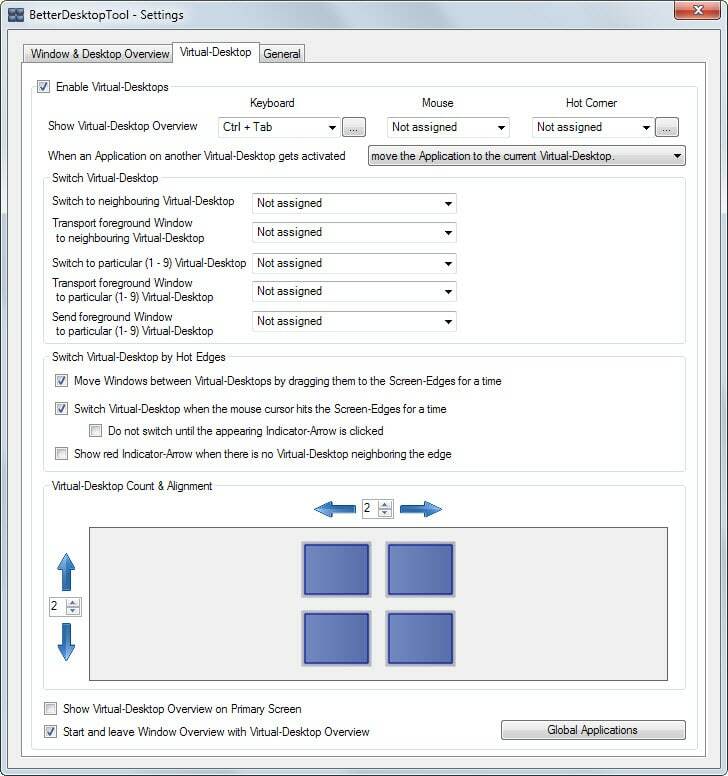 In my opinion, tagged workspaces is a much more powerful paradigm because you can have the same window appear on multiple (select) workspaces, instead of just the all-or-one feature that virtual desktops offer. 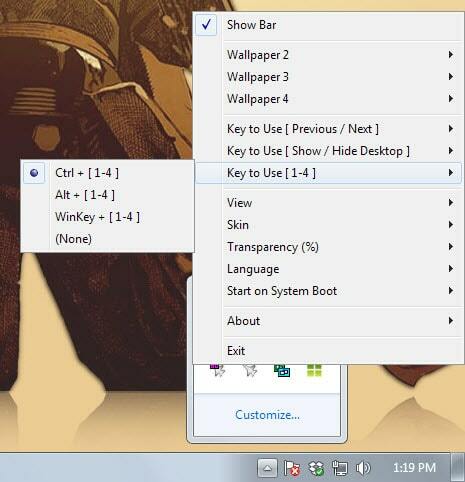 I’ve been trying to look for an implementation on Windows, but I guess the solution will be an AutoHotkey script. Oh well, as long as I’m on Linux, it’s irrelevant anyway. That would be because of the hotkeys that come with your graphics drivers. 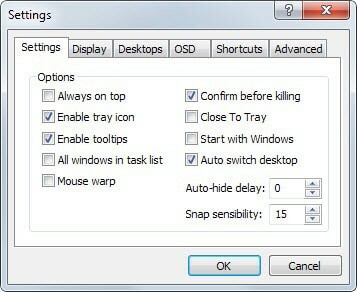 If you have an Intel card, you should be able to right-click on your desktop and disable hotkeys through the appropriate menu. I expect the process for NVIDIA to be somewhat similar. A small note for owners of nVidia quadro graphic cards. The nVidia driver for this cards has a Desktop Manager integrated. This tool called nView has all important things for desktop management on board. This Software is probably available for other nVidia cards but must be installed separately. 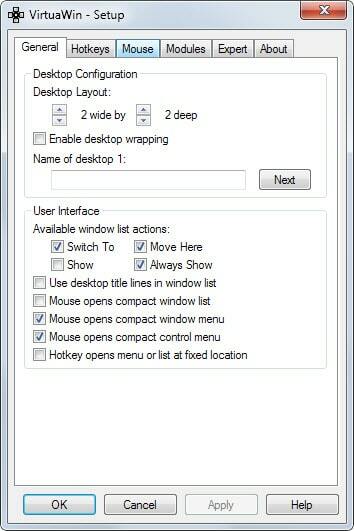 Come to think of it, I think this feature is what introduced me to the idea of multiple desktops back when I was on Windows XP. As lots of previous commenters, I got used to virtual desktops on Linux, especially loved the scrolling in Gnome 3+. 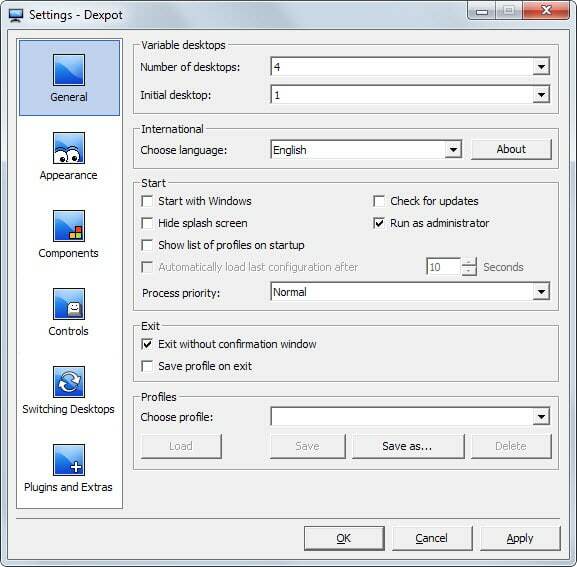 I tried quite a lot programs on Windows, and the only one that satisfied me was Dexpot. 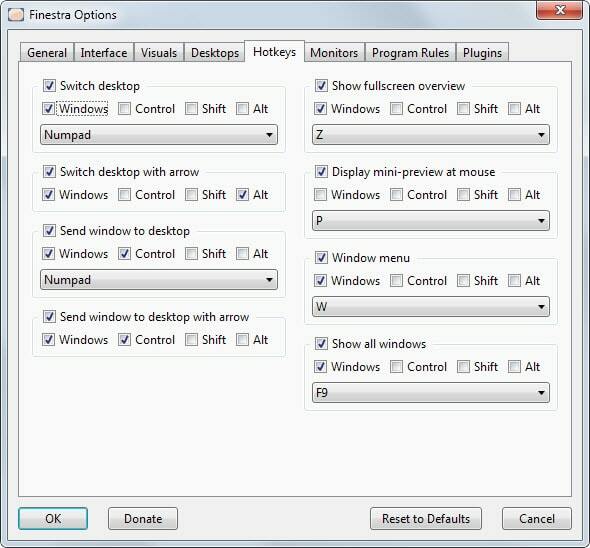 It is quite feature filled and very customizable, very nice about it is that keyboard shortcuts as well as hot corners and edges can be configured any way you like. What would be the best option as a portable desktop with shortcuts to my pendrive’s files/folders and applications along with a custom wallpapers? Thinking of carrying it in the thumb drive/external hard drive.